Have you ever heard abouth The Plug monster ? I received a lovely illustration from a cute blue fluffy monster which made me smile from ear to ear. This Plug Monster plays the main roll in a children book written and illustrated by Amber Pernell and she would like to have a Plug monster created to travel with her and on special events where she can promote her book and where the children and parents can see and touch the monster. I didnt need to think long and toke this commission with pleasure, late night in bed i was creating this monster in mind already. We decided to choose a lovely 2 colored Blue-purple tipped fur to create him. First i created a trial pattern to see his size and where to add the mouth ,the rest did follow up automatic while i was working with him and i can say I was falling in love with him , how can you resist those lovely blue eyes and that mega smile . Mr Glug was born and became a physical plug monster beloved by child and adults. Mr Glug is special created for Amber and her book and he is a OOAK creation in the way he is now, there won’t be more identical monsters he is the one and only Original Plug monster. 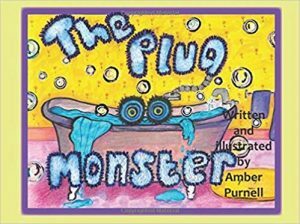 The Plug monster is a delightful rhyming story about a boy who is scared of the noises down the plug hole at bath time. 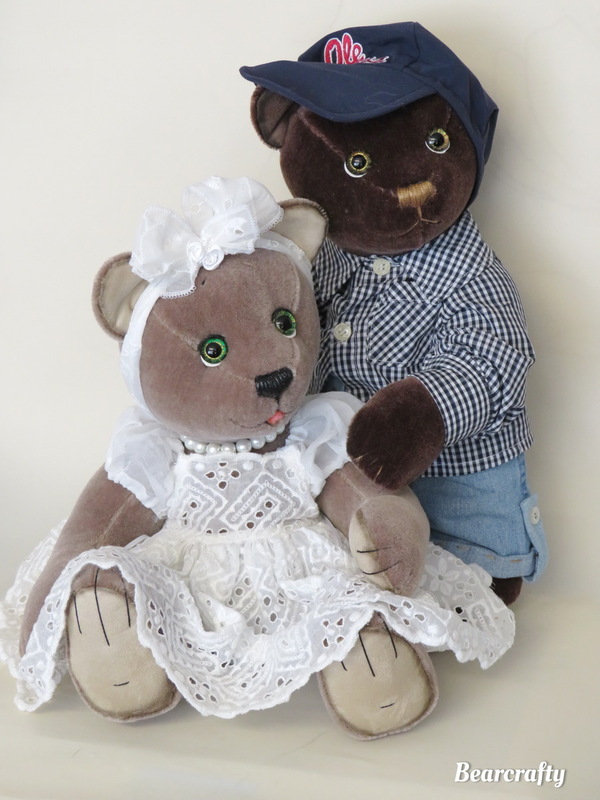 I have been so lucky to have my work featured in some wonderful Teddy bear magazines . Memory bears made in 2018 can you find your’s ?